If you want to change your eating habits to lose or maintain your weight this needs to change. In the previous post we talked about how vital it is to establish a consistent breakfast pattern. This week we are looking at adding quality to this consistency. As you will have noticed I try and steer clear of giving any nutritional advice. The reason I tend to not want to get sucked into the world of nutrition is because from an evidence standpoint it’s a minefield. Also, a lot of the information we receive is driven by the food companies themselves so it is difficult to separate out a unbiased view. As you know I feel focusing on getting your mindset right first is key to long term habit change. Many people have been given diet plans before and find that they can stick to them initially but these plans are just the detail, the ingredients, they do not help you train the skills you need to stick with them long term. They are often not specific enough for an individuals lifestyle, their personal preferences, what they enjoy and often do not take into account the other competing goals that person may have and the barriers they need to overcome to succeed. After a while people can become tried of diet plans, old habits start to come creeping back in and ultimately they abandon these plans. Looking at nutrition alone only captures one facet of your lifestyle – what to eat. It doesn’t address the drivers of your behaviours – how to eat (e.g. how to resist temptation, develop healthy habits, manage emotional or stress related eating). Both need to come in tandem in order to change your eating habits. I agree with focusing on particular nutritional aspects when they overlap with and can have a positive impact on your ability to resist temptation later in the day. This is especially prevalent when it comes to breakfast. In the last post we outlined why eating breakfast consistently is a vital habit for long term weight loss success. But in order to maximise this skill and your ability to change your eating habits it is important to understand what a good breakfast looks like. If you were to take only one tip on how to change your eating habits this would be it. Breakfast cereals even so called “healthy” ones can contain between 8g (cornflakes) and 35g (crunchy nut) of sugar per tiny serving (thats if you stick to the suggested serving size of 20-30g!). These minuscule amounts are not only dissatisfying to the eye (therefore subliminally sending the message that you won’t be full) but they can also set you off on a sugar spiral for the rest of the day. The national health service (NHS) in the UK considers anything over 15g of total sugars in every 100g to be a high level of sugar. 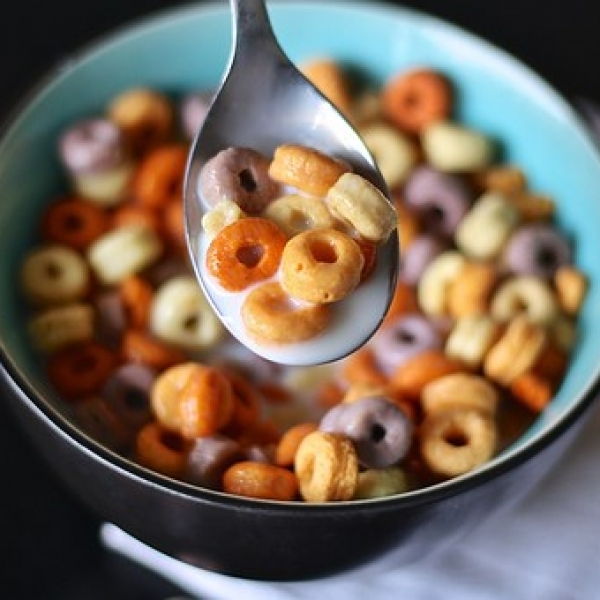 In fact the typical combination of cereal and milk (20g sugar), single slice of toast (6g sugar) and glass of orange juice (8g sugar) can run you into over 34g of sugar (over the daily limit of 30g recommended by the NHS) before the day even gets started. 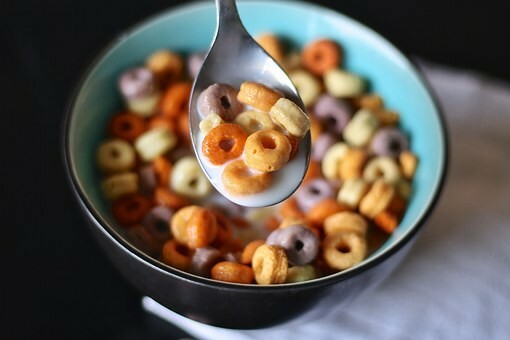 The truth is cereal makes you hungrier, less satisfied and more likely to give in to temptation later. In other words it is bad news for weight loss/maintenance. Is you want to start to make a significant change to your eating habits it would be a good start to eat less cereal. Research shows that a high protein breakfast decreases hunger hormones better than a high carbohydrate breakfast (cereal), keeping people fuller for longer. One study compared overweight subjects who ate eggs and lean protein vs. commercial cereal (both meals were the equivalent of 350 calories). They found that those with the high protein breakfast (e.g. meat and eggs) not only felt more satisfied but scans of their brains revealed that they had considerably reduced cravings. Therefore those that ate the protein breakfast were less likely to give in to temptation or overeat later. So what does a high protein breakfast look like? It really depends on what works for you – you could have things like real yogurt (not the high sugar artificial weight loss yogurt kind), berries and nuts. Or go for the savoury option of eggs, lean meats or fish with vegetables such as spinach, tomatoes, asparagus, avocado or beans. A large piece of frittata (20g), a slice of smoked salmon (7g) and a cup of peas (8g). Personally I feel that a savoury high protein breakfast is most likely to keep me full until lunch. The reason I know this? Through experimentation, this is key if you want to change your eating habits long term. If you are a cereal eater and you also find it hard to resist temptation as the day goes on – why not try a protein based breakfast for a couple of days this week and see how you feel? You could note how often you give in to temptation, or simply how hungry you are out of ten by lunch. Experimenting with one of the above non cereal based breakfast for 3 days this week then rotating back to cereal for 2 other days will give you a good comparison as to what is likely to keep you full. When it comes to how to change your eating habits what road you choose to get there is completely up to you but if you want to feel more satisfied, be less likely to give in to temptation or over consume later in the day. Establishing a regular and nourishing breakfast pattern is a key foundational habit that will set you up for enhanced long term success. P.S. If you want to gain an insight into your habits then simply enter your name and email on the right of the home page now to be linked directly to your weight loss IQ habits survey (approx 5 minutes to complete) and get your free personalised habit report results sent direct to you.